Portable video grabber to capture your HDMI 4K video source. No driver installation required – simply connect, and capture. This hand-size grabber fits in any kit, or even your pocket. Capture 4K from any (non HDCP enabled) HDMI port to any computer with USB 3.0. The plug and play AV.io 4K capture device is auto-detected by Windows, Mac and Linux operating systems. Simply connect your video source to AV.io 4K then connect AV.io 4K to your computer via USB. 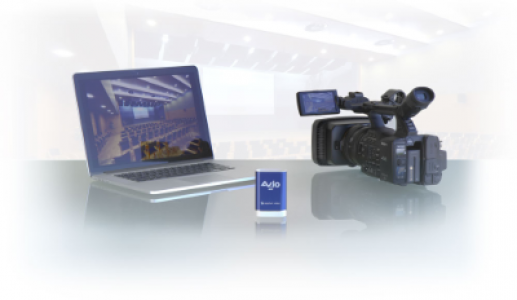 AV.io 4K capture device is perfect for reliable and repeated long-term use. It uses the same metal exterior as all other Epiphan video grabbers, which means that you could drop it down a flight of stairs and step on it, and it would still work. The same enclosure has even been used in space!